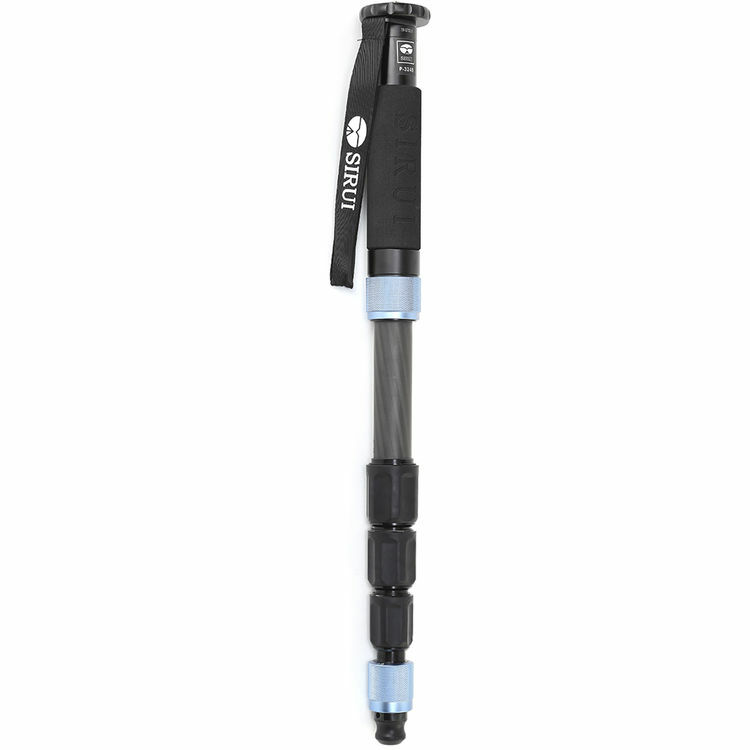 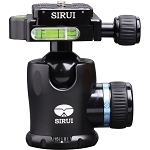 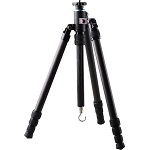 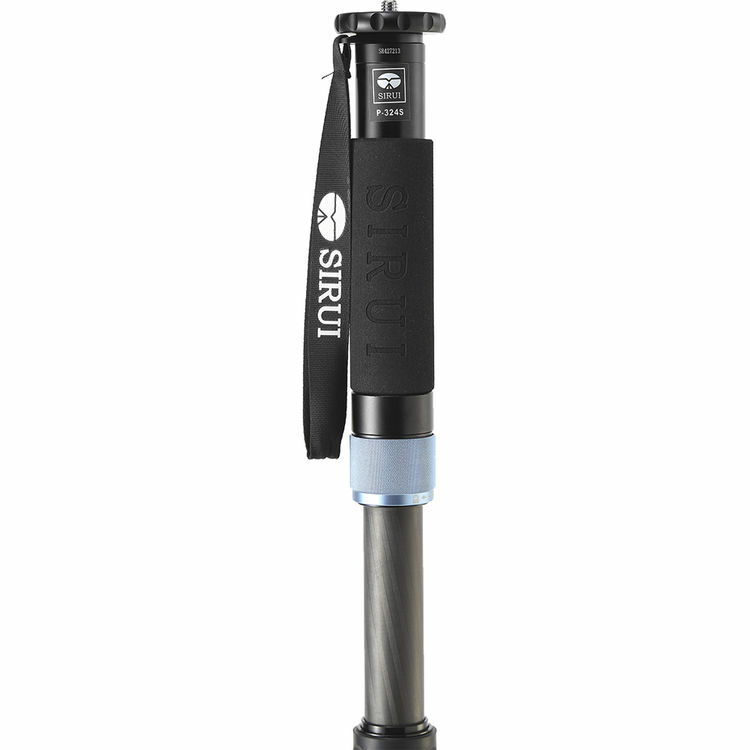 The P-324SR Carbon Fiber Photo/Video Monopod from Sirui is a 4-section carbon fiber monopod with three fold-down support feet for additional stability. 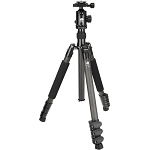 In addition, an adjustable friction control ball head mechanism in the base of the monopod and a panning hand grip enable smooth 360° pan and 20° tilt movements. 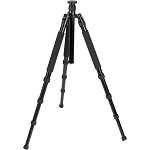 The three support feet fold up and lock into position against the monopod and can even be removed entirely and used as a table-top tripod. 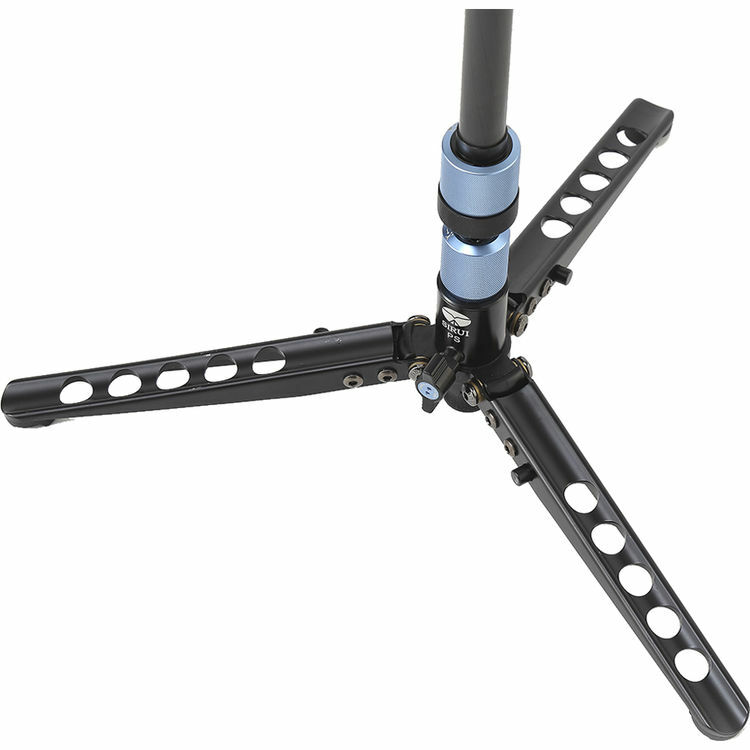 A large rubber base foot is available for conventional use and it can be removed and replaced with the included spike foot for use on soft or slippery ground. 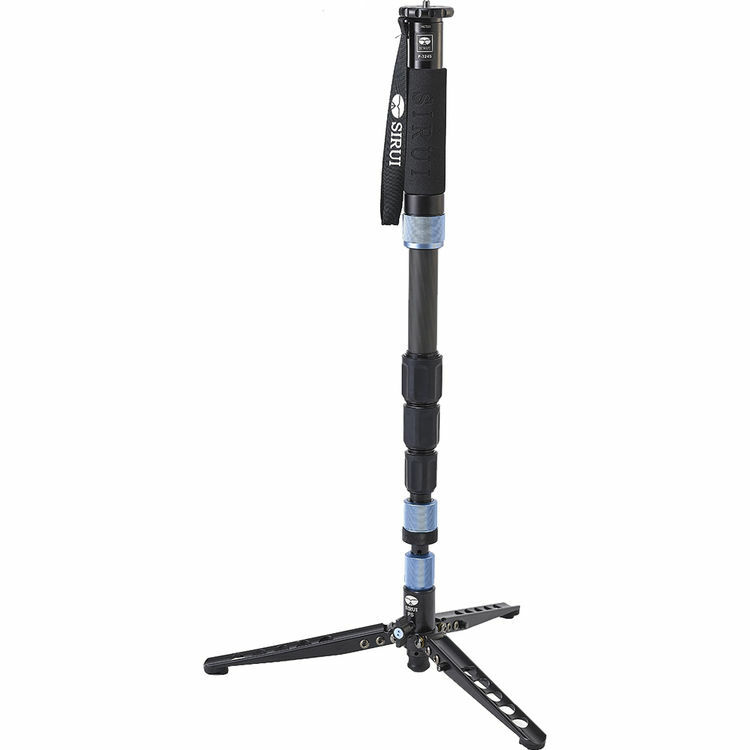 It weighs just 2.9 lb but can support a load up to 22 lb. 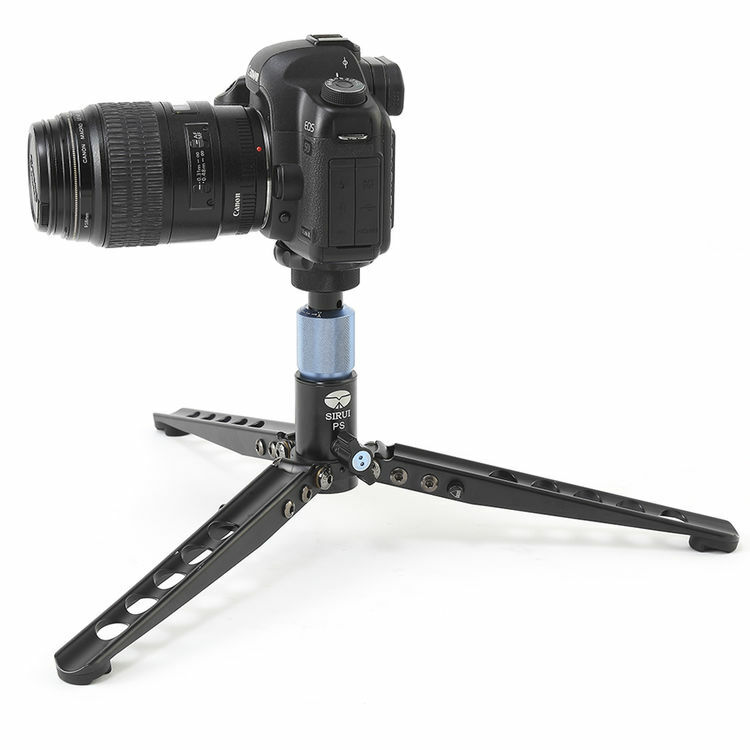 The mounting plate on the P-324SR comes with a reversible screw that accommodates 1/4"-20 and 3/8"-16 tripod sockets or compatible heads. 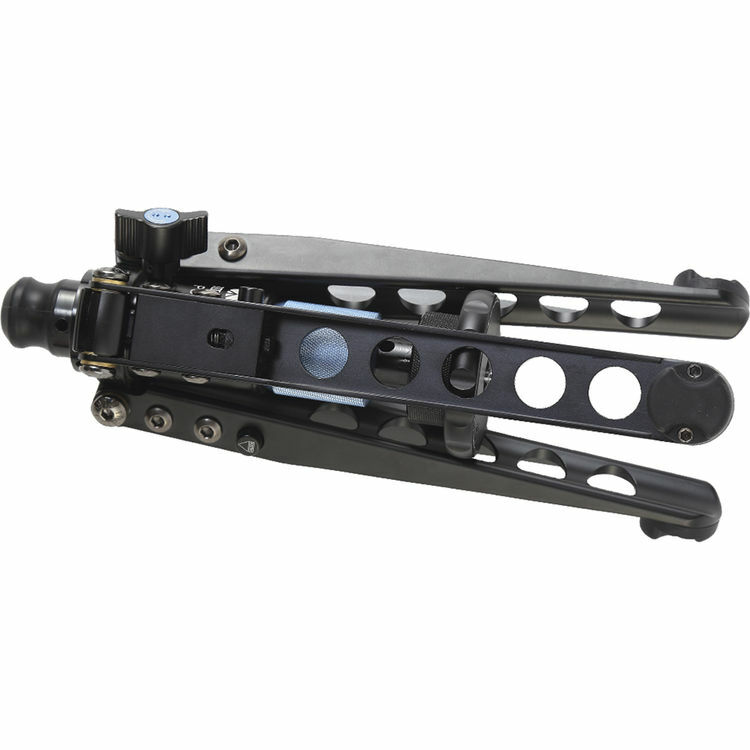 The maximum height reaches 69" and it can fold down to 28.5", three twist locks provide quick and stable adjustment. 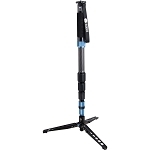 With adjustable tension control, the base locking collar enables the monopod to stand upright on its own. 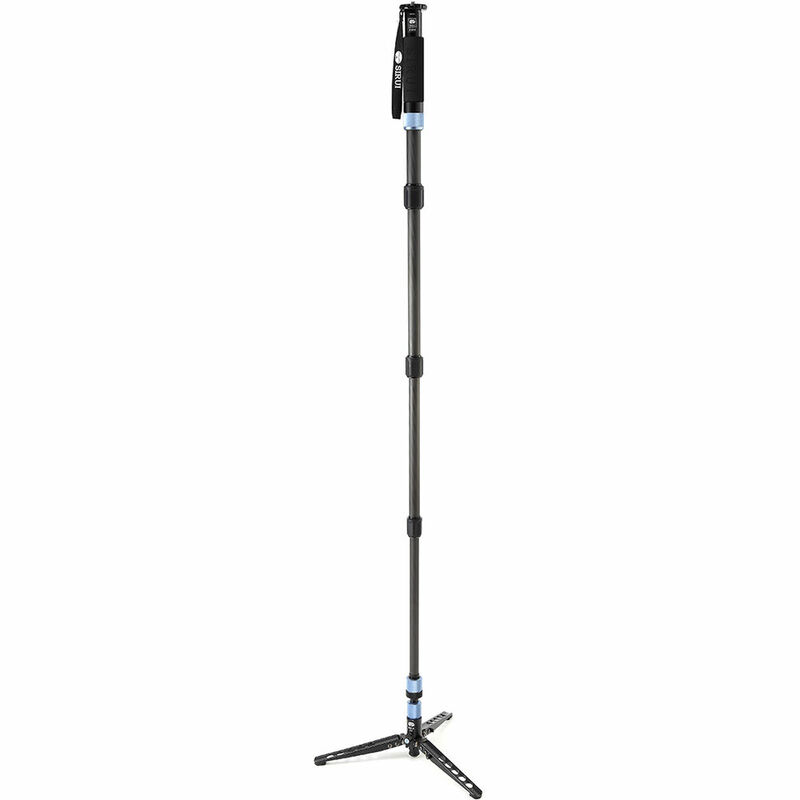 Box Dimensions (LxWxH) 35.0 x 10.3 x 2.9"